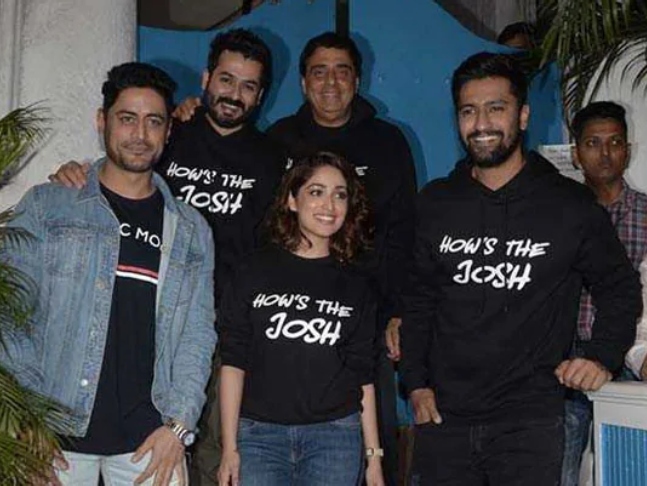 Vicky Kaushal and Yami Gautam starrer URI: The Surgical Strike has broken many box office records since the time it was released last month. The film garnered more than Rs 200 crore at the domestic box office and has grown on the Indian people’s psyche. The film’s dialogue ‘How’s the Josh?’ has actually found its way to Indian popular culture. The dialogue was used by Prime Minister Narendra Modi in his speech as well as by Union Minister Piyush Goyal during the interim budget. Now, after the surgical strikes that occurred in the wee hours of today morning, the film’s torrent download has suddenly witnessed a surge. The Indian Air Force carried out air strikes on terror camps in Pakistan-occupied Kashmir which is being termed as Surgical Strike 2.0. As soon as the news of the surgical strikes came out in the media that were carried out to avenge the dastardly Pulwama terror attacks on February 14, by the Pakistan-based terrorist organization Jaish-e-Mohammad (JeM) the netizens hailed the government’s retaliatory action. Hashtags such as #HowsTheKhauf, #JoshIsHigh, #AirSurgicalStrikes and #IndiaStrikesPakistan have been trending on Twitter. The countrymen’s mood is such that everyone is working on an extra shot of patriotism which has resulted in the torrent upsurge of URI: The Surgical Strike. The film is based on the surgical strikes carried out by the Indian Army in 2016. The film directed by Aditya Dhar has found its coveted place in the country’s psyche and will go down in the annals of history as one of the most loved patriotic films made by Bollywood in recent times.